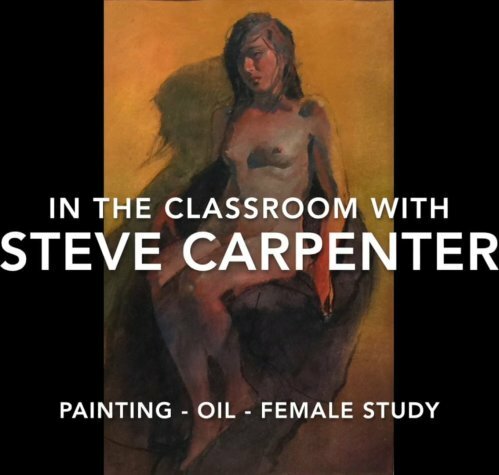 This video covers a figurative painting from the initial charcoal drawing to the finished oil painting. All aspects of figurative drawing are addressed as Steve renders the charcoal underpainting: compositional considerations are made, attitude and intent are established, line and value are used to create the base for an interesting and beautiful design. Steve’s method for painting begins with the use of color glazes to explore middle values, warm and cool color patterns, and the background color composition. With the foundation of the painting set, Steve continues with thicker paint to define details, extend the value range, and refine the painting.